* Nelson’s flagship. ** Culloden ran aground and did not take part in the action. *** Mutine was a brig, too small for direct engagement. Rear Admiral Sir Horatio Nelson KB, RN. The Battle of the Nile sent shockwaves through Europe. It was Nelson’s first demonstration that he would, given the chance, annihilate opposition rather than simply defeat it. He captured or destroyed eleven of the fifteen enemy ships. 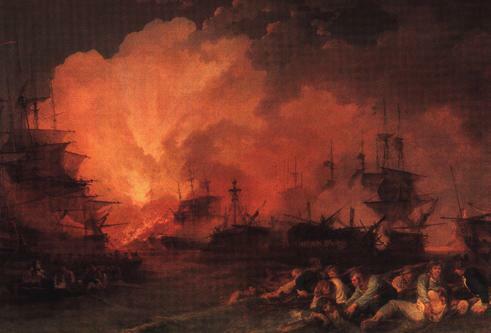 The Royal Navy suddenly realised that they had found in Nelson a tactician, a planner and, above all, a leader and opportunist against whom a single mistake was enough to guarantee defeat. He was created Baron Nelson of The Nile and Burnham Thorpe and became a national hero. Lord Nelson had claimed his place in history.